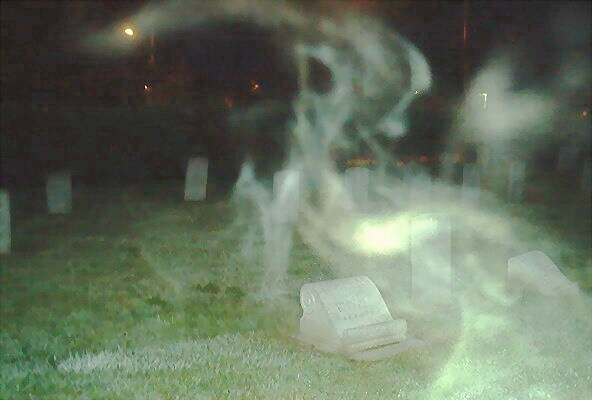 Taken by Marlena VanHesling of Vancouver Canada's'The Ghost Gang" ..... ectomist rising up out of a new plot and forming what appears to be a skull....and then fading away. No fog that night. Now i dont know what to make of this because it can be easy fked by a glass reflection,but what this is it spooky.